You’ve decided to invest in a custom playhouse for your little one. Now what? You try to remember what it was like to be a kid in an adult world. What was fun back then? Where did your imagination take you? For some of us, the idea of transforming into that time may suddenly seem difficult to recreate. What started out as an idea for an exciting new project has now turned into one more stressful item on our adult to-do list. But, good news—it doesn’t have to be. Consult your own little customer—they know how they like to play best! Involve your children in the design process. Not only will you come closer to their dreams of the perfect playhouse, but it provides a special time to bond and create magical moments with your little ones. 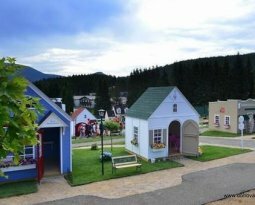 At Lilliput Play Homes, we provide a custom playhouse design service in addition to offering several pre-designed playhouses. If your children can dream it, we can make it happen. Lilliput Play Homes, located outside of Pittsburgh, PA, welcomes the opportunity to design a playhouse with your child in mind. Skilled craftsmen from the small Pennsylvania village of Finleyville create each playhouse with pride and expertise, while ensuring a high-quality, durable and safe play area. Contact one of our Lilliput Design Specialists today at 724-348-7071 to learn more.